Never get stuck again. Get the performance and durability you need and want from your winch with TrailFX. Capacities ranging from 8,000- 12,000 lb with a high strength wire or synthetic rope option. 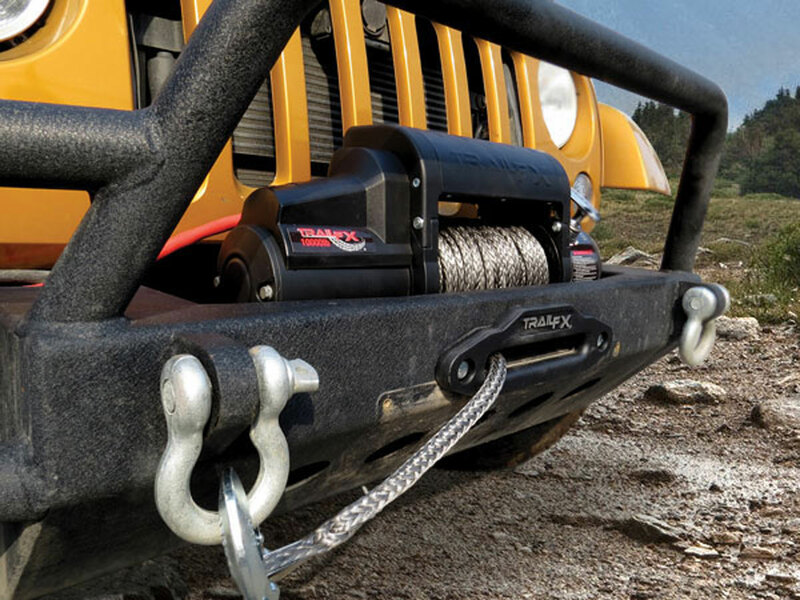 Get quality, durability and affordability all in one winch. 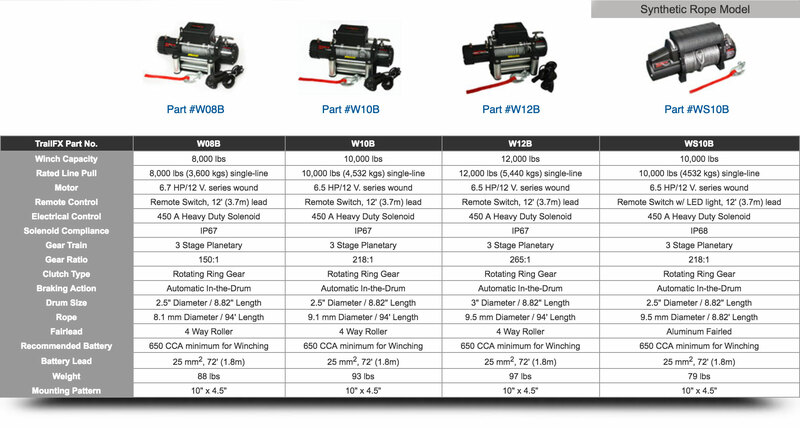 These winches have a limited lifetime warranty for mechanical componentry and a one year warranty on electrical components (see owner’s manual for more details).